In this case study, we’re looking at one of our clients who is a B2B Online Survey Company, and how we helped them to bring in higher quality leads and increase their conversion rate. The company does online surveys measuring customer and employee satisfaction and consulting for assessment program design. Their target market is the USA, including retail, healthcare, pharmaceutical, high tech, finance, government, energy, oil & gas and utilities. When they came to us, they had a couple of challenges to meet in order to improve their business and increase their bottom line. 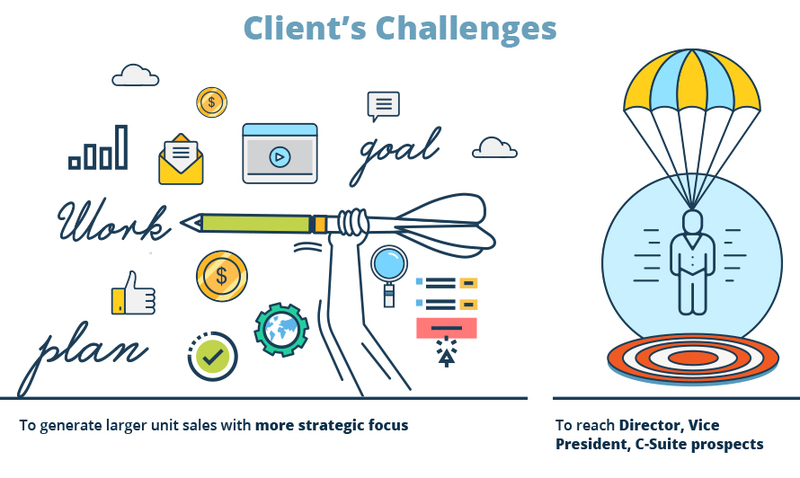 They needed to generate larger unit sales with more strategic focus, and they needed to reach director, vice president, and C-suite prospects – something that’s not always an easy thing to do for businesses, without a specialist lead generation team in place. 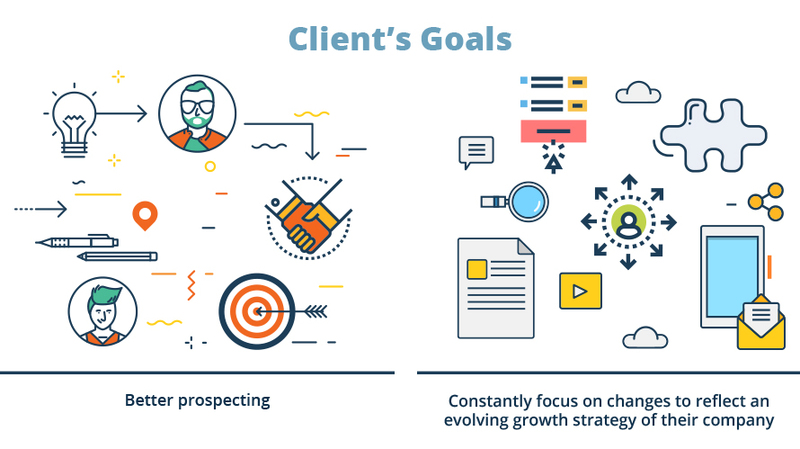 Our client had clear goals set for our work together and knew that they needed better prospecting, and to constantly focus on changes to reflect an evolving growth strategy of their company. With such strong goals, we were delighted to take on the challenge of bringing in high quality, fully qualified leads. Whenever we work with a new client, we take the time to listen carefully to their goals and understand what we need. We then design a bespoke program specifically for your company to attract the exact type of leads that your sales team needs. There’s nothing ‘cookie cutter’ about what we do, and we take pride in delivering a high-quality service that actually works. This step was necessary to weed out any contacts on the list that weren’t ideal for the company and to ensure that all contact information was complete and up-to-date in order for the sales team to be able to get straight on with successful outreach, without having to search for missing data. Next, we started our outreach and began working with their team on a weekly basis to hone their marketing message and create a streamlined generation-to-hand-off process. Within only three weeks we were delivering targeted, qualified leads to our client’s sales team for follow up discussions. The sales team were delighted with our results and reported that the lead quality – and subsequent conversation quality – was far better than any they had seen in the last three years of prospecting. We ensured that the sales team was consistently connected to decision-makers who were showing an active interest in learning more about their solution. Throughout the program, the company’s corporate focus changed to reflect an evolving growth strategy. We don’t offer a static program that doesn’t change and adapt when you do. In every case, we changed with our client’s new focus, adopting new messaging, shifting market focus and giving more priority to outreach in certain verticals over others. Within two months, we had completed the first pass of outreach to our client’s purchased list and begun to research and build new prospects in target verticals. After 10 months, we had delivered an average of 5.6 leads per week, giving a total of 291 high-quality sales discussions with targeted decision-makers. Our client’s sales pipeline grew dramatically in that time as a direct result of the leads we were able to find for them. If you’d like to get those same consistent, bottom line boosting results, get in touch with MarketJoy on +1 484-302-0110.